Lacey Myers is on the fast track to success. Living in Boston, working for a major retailer, and up for a promotion. Fate intervenes and sends her back to her hometown of Fair Bend, North Carolina. She hasn't spent more than a few days back home in 10 years. Will sparks fly when she runs into Mason Peters, the man she left behind? When faced with the choice to stay or go, which path will she choose this time? Olivia Shields is a new resident to Carlisle Bay, Connecticut, after having traveled the world as a professional ballet dancer. Dancing was her life. Chasing performance dreams is all she's ever known or planned for. Now, she is starting anew. She didn't expect to be a boutique manager at 31, but it's better than spinning out into the abyss of the unknown. Being in Carlisle has brought solace to her listless soul. Brady Carlisle has recently returned to Carlisle Bay, his hometown. He has spent the last decade in California, designing and patenting surfboards. Julianne Baker seemingly has it all. Working for a nationally published nature magazine in Manhattan and leading a glamorous life in the Big Apple...or is she? Julianne returns to her hometown of Lilac Glen, Georgia to complete an article on family-based nurseries and floral businesses; something she already knows plenty about. 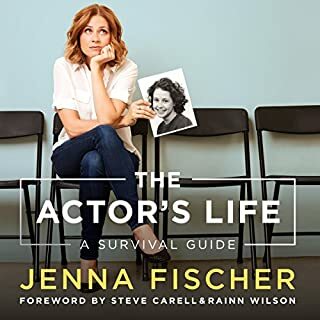 Julianne meets Tucker Case, a handsome investor and real estate manager who is trying to fit in as a farm owner in the town he now calls home. As days get longer, and spring starts to reawaken, will flowers be all that bloom? Elise Jacobs is ready for a change. Recently divorced, she relocates to her hometown of Landover, Maine, to operate a bed and breakfast she inherited from her grandmother. After growing up with the fondest memories of her childhood being spent there, she relishes the chance for a fresh start and an opportunity to revive the inn. As summer gives way to Autumn, the inn is returning to its grandeur. A handsome guest sets out to challenge Elise at every turn. She knows the type...or does she? Join Elise in finding a renewed zest for life, friendship, and possibly...even...love. This is a cute story about finding love when its least expected. It is very well written and definitely pulled at my heartstrings. After a “not so happy” ending to her last relationship, Elise is given an opportunity for a fresh start. An unfortunate loss in the family has provided Elise with the chance to move home and to take over her family’s bed and breakfast. After much thought, she chooses to go back to the business that has filled her heart with pleasant childhood memories. While she is doing a great job keeping the inn running, Elise encounters a new guest. She immediately labels him a “typical business man” from the city and is all too familiar with his type; or is she? Autumn at Apple Hill is an excellently smooth and quick read. I rate it with 4 Boundless stars and highly recommend it. Laughter, tears and heart are abundant. 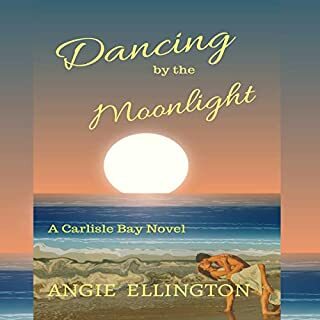 Angie Ellington has a talent for making readers feel at home. Emily Coupe captures the sweet simplicity and fun personality of each character she portrays. 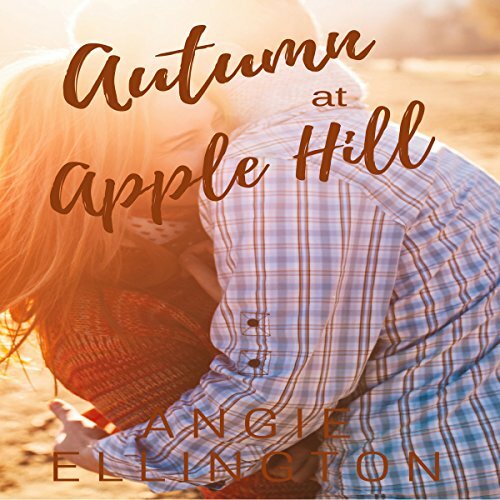 Autumn at Apple Hill is a tale of second chances, new beginnings and rediscovering the power of love. Laughter, tears and heart are abundant. A feel good tale. 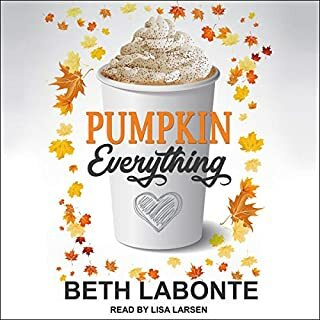 Where does Autumn at Apple Hill rank among all the audiobooks you’ve listened to so far? What does Emily Coupe bring to the story that you wouldn’t experience if you just read the book? theatrical, engaging & a slight hint of an Australian accent that would come through now & again was an added bonus. I like to look up the narrators to get a face to go with the voice & read she is from Australia. 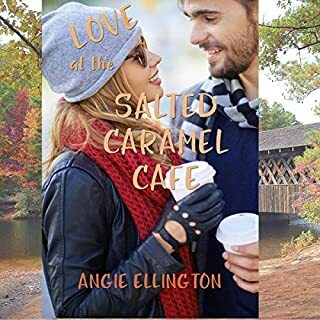 I prefer clean romance & Angie Ellington's books are cute stories..funny as well & none have cursing or scenes that would make me blush...so I like that! Sign me up for a stay at Autumn Hill Bed & Breakfast. Give me a wine tasting & apple picking day with these cast of characters who are all charming, kind & full of wit. Luke sounds like a Tom Cruise lookalike to me & I'm here for it! He's met his match with Elise. Love how the author includes so much detail in the seasons & settings. I felt like I took a tour & that made it even more engaging. Narration by Emily Coupe was fun & flirty. Delivery was natural. This story will have you wanting to skip whatever season it is and ready for fall to start. With all the apple and pumpkin talk I can't wait now! This is a very clean and fun/romantic story. Elise decides to keep her family legacy going and return to her grandparents inn after their passing away. She has always loved the inn and her mom tells her its now hers to do with as she chooses. As Elise starts bringing life back to the inn she's finally open for business. One of her first new guest is, super handsome, but seems super annoying. The two have great chemistry and banter. Soon a new friendship and a little romance starts to bloom. The narration is nice, but after about the first half, you will start to notice more of an accent the narrator try's to keep hidden. And with that a different pronunciation of some words. the narrator was very precise and made listening more interesting. the story seemed to have a little bit too much of a background. I would have liked to have Elise have more adventure and work through problems that arise from running the resort for the first time. other than that, it is a very cute book about a girl that loved her grandparents and had wonderful memories of the business they ran. I am a city dweller and given the choice, I will remain one, but there is something appealing about reading small-town romances. Autumn at Apple Hill ticked the box. Elise has relocated to Apple Hill to open a Bed and Breakfast establishment. She’s divorced and this is her new start. When moody, crabby Luke arrives as a guest, his presence is both frustrating and annoying the Elise. Luke’s attitude is often unfriendly but neither of them can ignore the attraction between them. Our couple have a few ups and downs but the more time they spend together, the more they get to know one another and the barriers between them lower. This was a light story and was an easy listening experience. Emily Coupe narrates the story quite well. I did find there were times I was uncertain which character was speaking. I am unsure if this was a flaw in the writing or narration. There were several mispronounced words that frustratingly jarred me out of the story. Apple Hill is just the sort of place where I can see myself on vacation or even living there. You can feel the small-town comfort throughout the story and practically smell the burned biscuits (you'll have to listen to the story to catch this reference.) 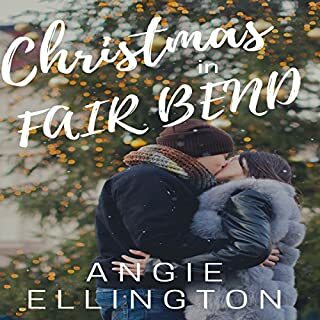 As in her other romance stories, Angela grows a sweet, loving bond between her characters, and you won't know which person to side with during the rift. Good thing you don't have to really choose. Emily does a good job with her performance with steady pacing. I'll be waiting for the next story. **I received a free review copy of this book.